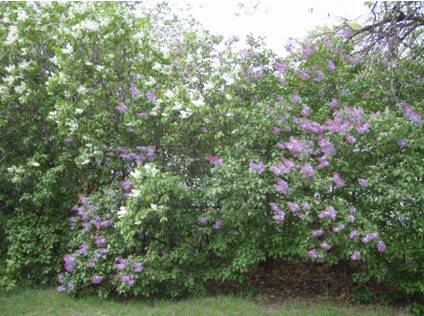 Common lilac (early bloom) is a medium to large shrub with showy purple flowers. It is moderately fast growing, intolerant of shade but is tolerant of drought. Common lilac, which has shallow dense root system, grows in a variety of soils. Product Size at Purchase: 12-24"